What is “Your Blueprint, Life by Design”? Up to 90% of our thoughts are Subconscious. I’m sure you’ve heard the phrase, “What you think about, you bring about.” The Law of Attraction gives you what you think about. It doesn’t matter if 10% of your conscious thoughts are about money or success or fitness or happiness if your Subconscious Thoughts, the prevailing 90%, are about lack or failure or being unhealthy or are filled with sadness! But once you change your Subconscious Thoughts to match your Conscious Desires… That’s when you Tap the Awsome Power of the Law of Attraction! That’s when you’re on the way to the life of your dreams! Your Blueprint, Life by Design gives clear, easy to follow directions that show you how to change any part of your life. It helps you discover who you really are and guides you on your personal path of discovery and change. Your Blueprint, Life by Design, is the definitive success guidebook about using the Law of Attraction and your Subconscious Mind to create the life you desire. Best of all, as you Read Your Blueprint, Life by Design, you feel like you and I are having a relaxed conversation. We’re two friends, sitting comfortably, discussing knowledge I’ve gained through my life challenges and the system I developed that’s changed my life and helped so many others redesign theirs. If you’re serious about learning to use your Subconscious Mind Power and The Law of Attraction to Be your Ideal You, then buy your copy of Your Blueprint, Life by Design today! 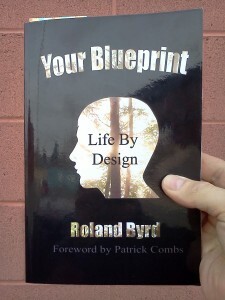 And when you Buy your Copy of Your Blueprint, Life by Design from my website http://www.YourNewBlueprint.com/ I’ll personally sign it! Remember, there’s no time like Now to take control of your life. Take back your life! You have the power within to Be a Better You. You have the power within to Create the Life of Your Dreams. You have the power to Be The Miracle and create lasting change in your life and the lives of those you care about. Your Subconscious Mind holds this Power, it’s the key to your success! Read Your Blueprint, Life by Design and discover the Keys to Unlock the Ideal You! The best way is to use a paid WordPress platform for your site. I do consider all the concepts you’ve offered on your post. They’re very convincing and can definitely work. (I also love the theme/design), I don’t have time to go through it all at the moment but I have book-marked it and also included your RSS feeds, so when I have time I will be back to read a great deal more, Please do keep up the superb job. You can link to my Google+ and Twitter profiles from the home page on the blog. But here are the links too. Some of the comments are probably spam, that’s why I turned on a spam filtering program. That is fine, thank you for asking. Yes! Finally something about law-of-attraction. quick for beginners. May you please extend them a little from subsequent time? Thank you, Aimee for taking the time to comment. I’m always working on improving the blog and your input about writing longer posts is appreciated. What i don’t understood is in fact how you are now not actually much more neatly-appreciated than you might be now. hi!,I love your writing so much! proportion we be in contact extra about your post on AOL? I require a specoalist in this house to resolve my problem. I’m glad you like the site and enjoy the posts. Pretty section of content. I just stumbled upon your site and I enjoy your blog posts. Hello There. I found your blog using msn. This is a relly well writen article. My information comes from life experiences and studying how to transform myself. That led to my desire to help others. Thank you for another informative blog. Where else may I get that type of info written iin sudh a perfect means? I’ve a challenge that I am simply now operating on, and I’ve been on the glance out for such information. of the more prominent details you should look at. get annoyed at the same time as other people think about issues that they just do not understand about. Hi, I desire to subscribe for this webpog to get hottest updates, therefore where can i do it please help. The add to any button at the top right of the page. of sharing it here for individuals who haven’t seen yet. I’ll usually meditate before I start writing. That helps clear my mind. Another thing that helps me is to leave editing until the writing is finished. Write when you’re writing and then edit separately. That way creativity your can flow. And, truth be told, there are days when I spend 10 to 15 minutes trying to figure out what to write also. Thank you for posting when you have the opportunity, I’ll just book mark this site. I use WordPress and a paid blog platform.